William of Mass Destruction: Clack Clack Clack Clack Clack. Clack Clack Clack Clack Clack. 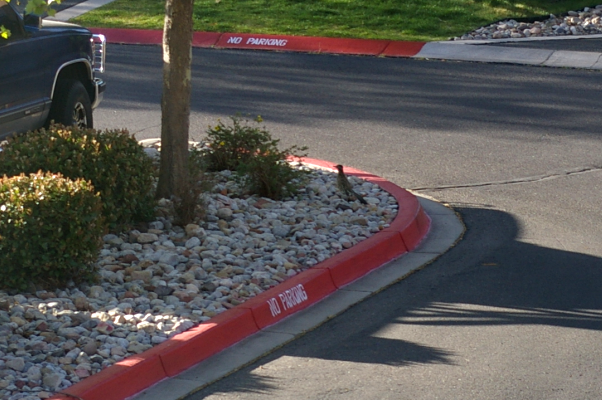 Hi, Mr. Roadrunner! You're much more fun than those icky pigeons! He must be on his way to the Acme shop! You look very excited, Miss C.
OH Caroline. I wish I were there too. I've never seen a Roadrunner. I wish they lived here. Well, he's cute all right, and if he has to run instead of fly, you could prolly take him. But he's a runty little guy--hardly even a snack. Mum said she saw one of these birdies years ago in Mexico. I wish we had roadrunner TV! We are a bit jealous we do not have roadrunners. It would be fun to hear one. Oh can you capture one of those and fed ex to us; we don't see these fine creatures here. 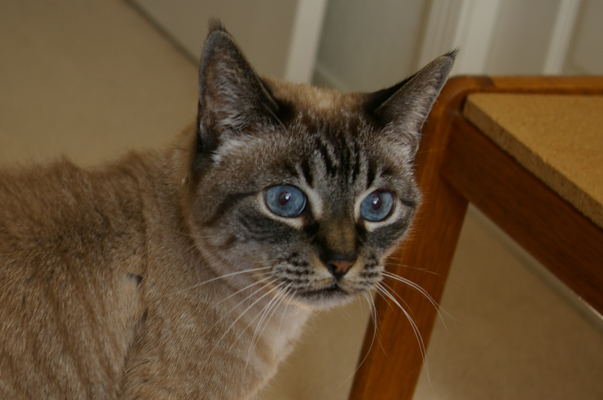 Caroline, someday I'd like to look into your blue eyes in purrson! Look and listen, but you're not likely to catch the road runner. Beep beep!